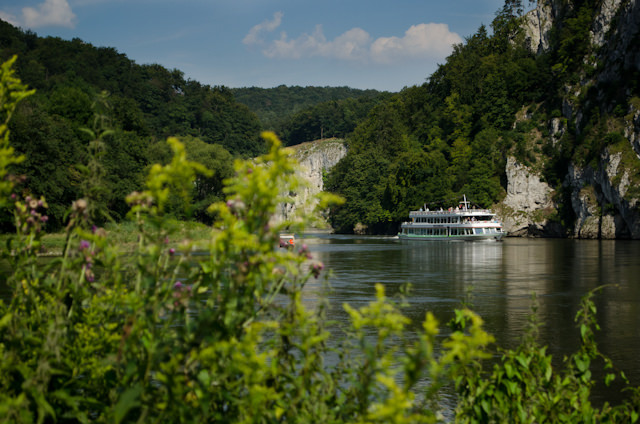 It’s our last full day aboard Emerald Waterways’ Emerald Star today, as we approach the end of the Danube and our weeklong voyage that began in Budapest and has whisked us through the heart of four separate countries in just six short days. 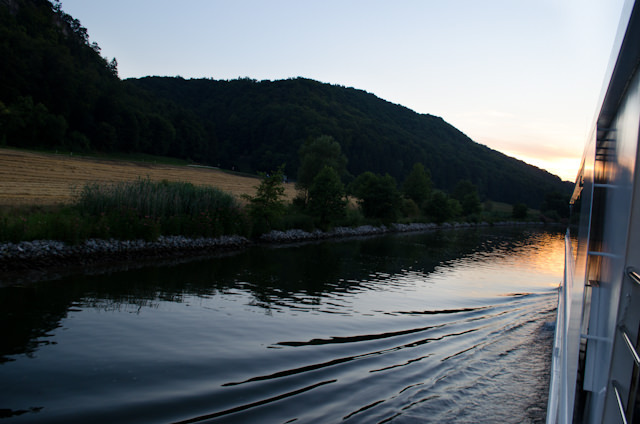 This evening, we’ll enter the Main-Danube Canal and begin our transit toward Nuremberg, where we will disembark tomorrow morning and another group of guests will take our place. 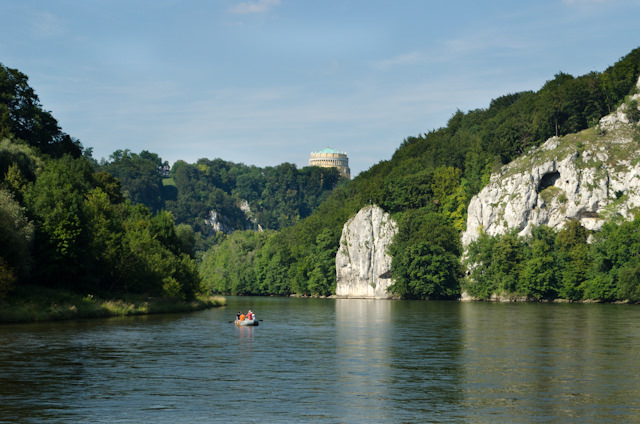 Fortunately, we still have one day left onboard, and it promises to be a busy one, with excursions to Regensburg, Kelheim and Weltenburg Abbey. 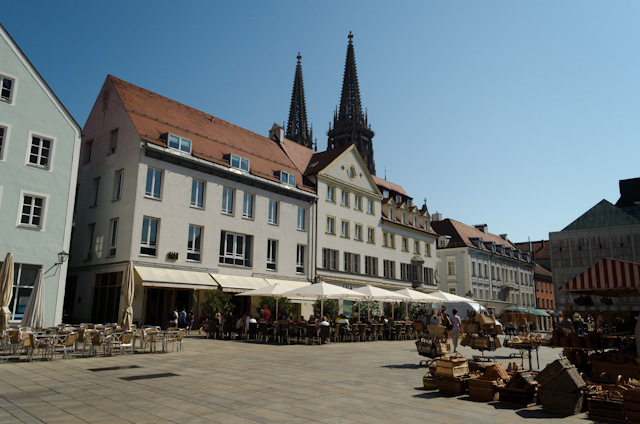 Regensburg has been called the most well-preserved medieval city in Germany. It’s also widely recognized for one of its most iconic features: the Stone Bridge constructed between 1135 and 1146, which today is covered in scaffolding as reconstruction takes place. Directly adjacent to the Stone Bridge is the Wurstkuche, a small restaurant that has been serving up superb Schweinsbratwurstl vom rost mit sauerkraut (bratwurst & sauerkraut) for the past 700 years. That, plus a pint of Bavarian beer, was my goal for this morning. With just shy of two hours on shore, I’d be able to do that and still tour around for a little while. 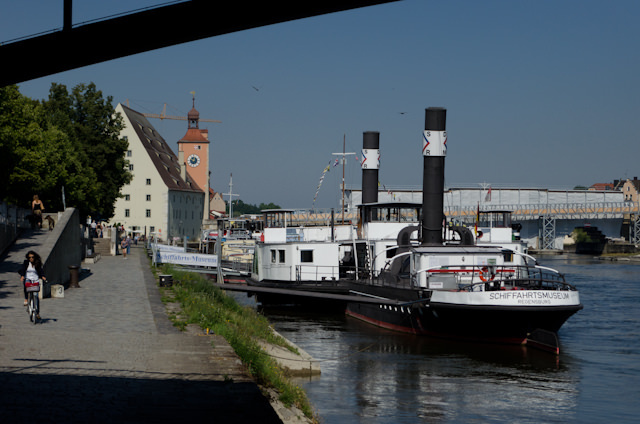 Unfortunately, once pierside in Regensburg we learned that our time in town would be reduced even further, to a little more than 60 minutes, before we had to be back onboard due to lock schedules upstream. Compounding this was the fact that Emerald Star was docked in the second furthest berth from town, meaning a brisk 10-minute walk between the ship and the Wurstkuche in each direction. Math isn’t my strong suit, but I do know that leaves approximately 40 minutes to tour the town before the all-aboard call at 11:15. You might ask why I am so passionate about visiting Regensburg for more than 40 minutes. 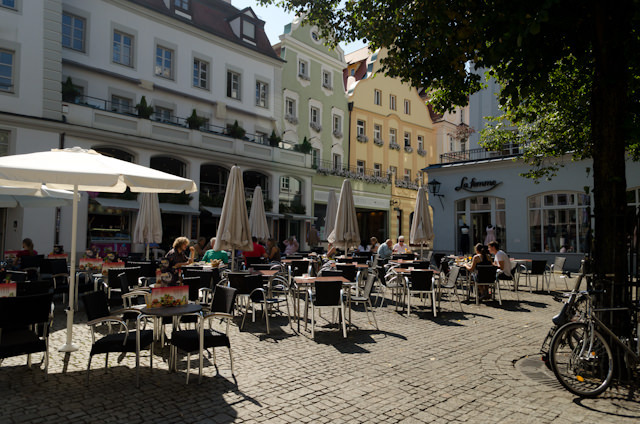 Here’s why: Unlike our short call on Durnstein, Regensburg offers a multitude of ways to spend your day. There’s the aforementioned Wurstkuche, the opulent Schloss Emmeram, also known as the Palace Thurn und Taxis, is located on the outskirts of the town. 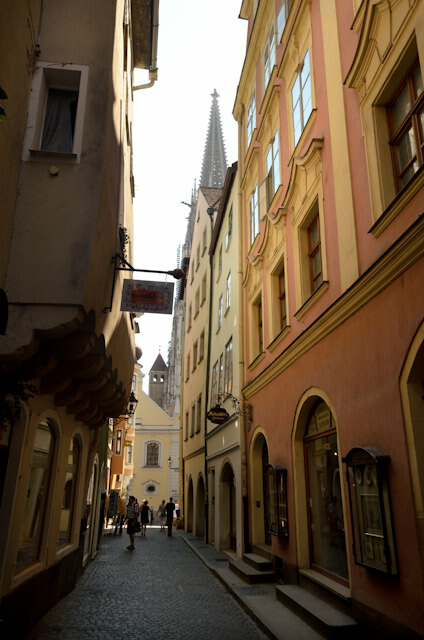 There are also numerous cafes and open-air markets, tons of cool shops, a residence formerly occupied by Oskar Schindler, and – most imposingly – the Gothic Dom, or Cathedral, that anchors Regensburg and has dual spires that are visible for kilometres in either direction. 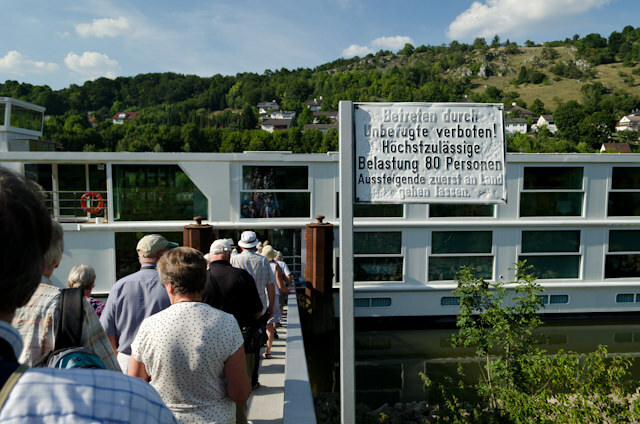 It seems that, particularly today, our schedule is operated on the narrowest of margins; perhaps not what you want to do when you have to enter the numerous locks of the Main-Danube Canal in order to reach Nuremberg by tomorrow morning. Our afternoon excursion to Kelheim this afternoon requires us to reposition the ship in order to make it through the Regensburg Lock at the mouth of the Regen River. We arrived at the Regensburg Lock just after one in the afternoon, and disembarked at 1:30. 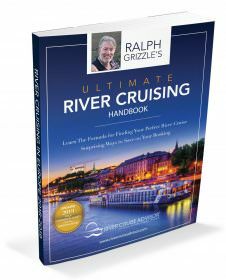 It was then that I discovered I’d been here on another river cruise two years prior – and that you can walk to the parking lot where the coaches picked us up from the center of Regensburg in about 10 minutes. 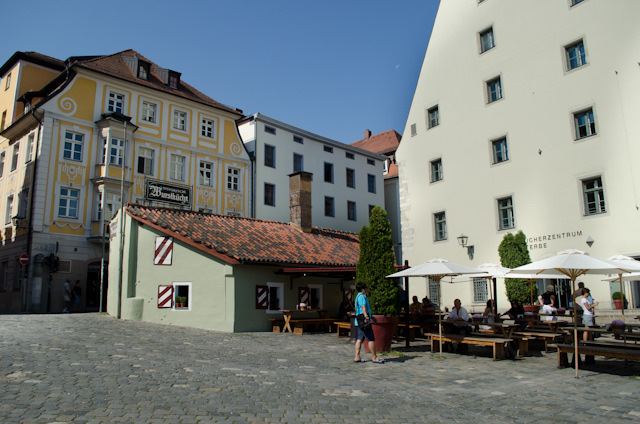 Sure enough, to reach Weltenburg Abbey and Kelheim, we drove back through the center of town. For the first-time cruiser, none of this would matter. If you’ve been here before, however, this morning might have left you singing a different tune. 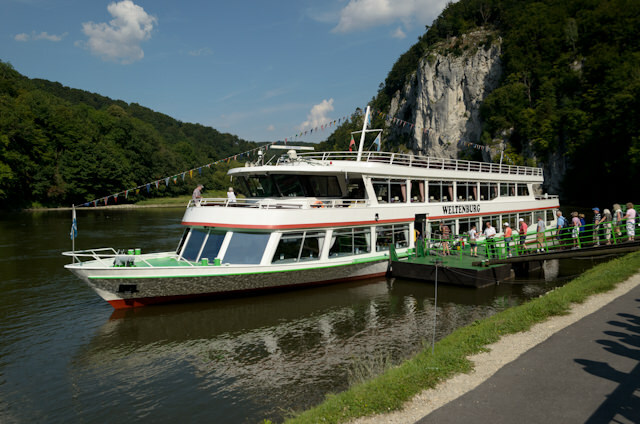 Fortunately, the excursion Emerald Waterway had planned to Weltenburg Abbey and Kelheim was fun and immensely enjoyable. 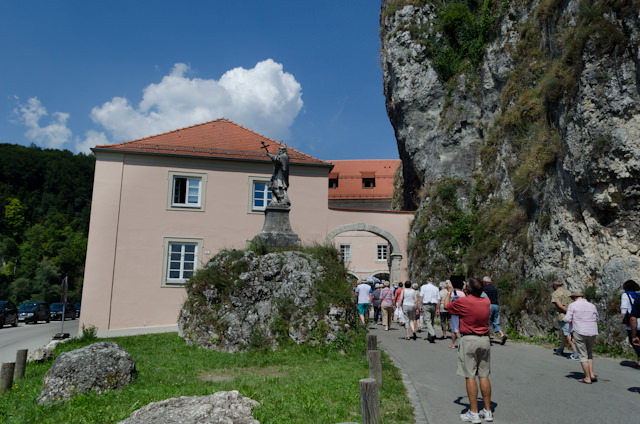 Weltenburg Abbey was founded by is situated near the Danube Gorge and was – somewhat ironically – founded by either Irish or Scottish Monks around 620. 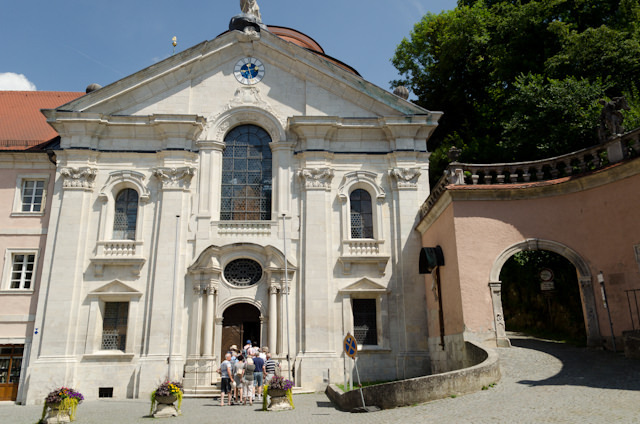 It is thought to be the oldest Abbey in all of Bavaria. 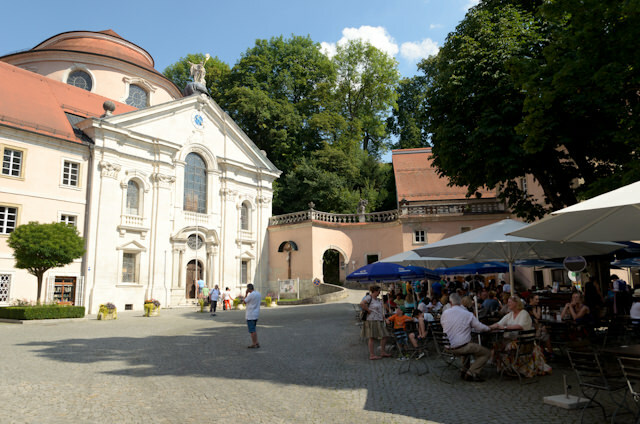 There’s a gorgeous baroque cathedral on-site, but perhaps more importantly, Weltenburg Abbey is also the location of the Weltenburger Klosterbrauerei, a monastic brewery that has been making refreshing pints since 1050. 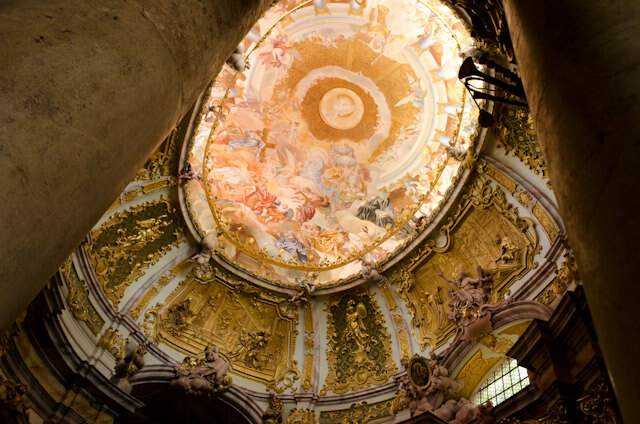 I’d heard that the Weltenburg Cathedral was spectacular – and it’s true, it was gorgeous. 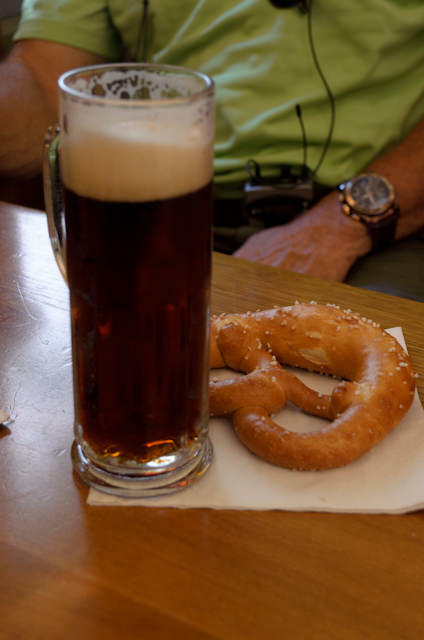 On a hot day like ours, where temperatures pushed 34°C by afternoon, a refreshing beer and a freshly made Bavarian pretzel was just what the doctor ordered. After spending 20 minutes in the Cathedral learning of its history, we had approximately 90 minutes to enjoy one complimentary beer, which most of us supplemented with another beer held in the shaded outdoor beer garden. 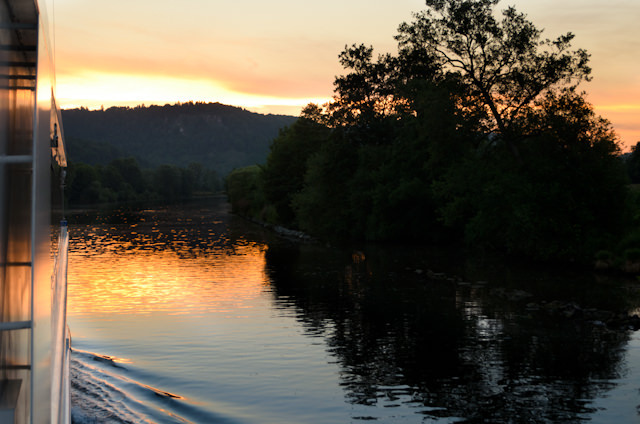 Following our beer, a short walk took us to a small ferry that would whisk us across the Danube Gorge to Kelheim. This was one of the most enjoyable events of the afternoon. Our small ship took us on a 20-minute cruise along the Gorge, where we passed swimmers, kayakers, and bathers sunning themselves and cooling off in the rapidly-increasing heat of the day. On our way into Kelheim, we passed the imposing Befreiungshalle, or Hall of Liberation. It’s not at eye-level, however; you have to look up to see it. Standing like the coliseum high atop the Bavarian hills near Kelheim, the Befreiungshalle was constructed between 1842 and 1863 to celebrate the victories against Napoleon, everybody’s fun-loving European conqueror, during the German Campaign of the Napoleonic Wars. Immediately after disembarking our little ferry, we re-boarded the coaches for the five-minute drive to the waiting Emerald Star, which had already begun moving again before I even reached my stateroom. 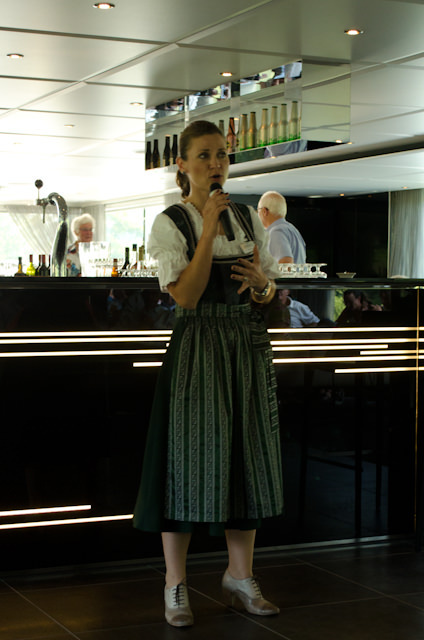 I then had 15 minutes to change quickly to be back in the lounge for our nightly entertainment: a local German Oompah Band who would perform a fantastic 30-minute concert for us. 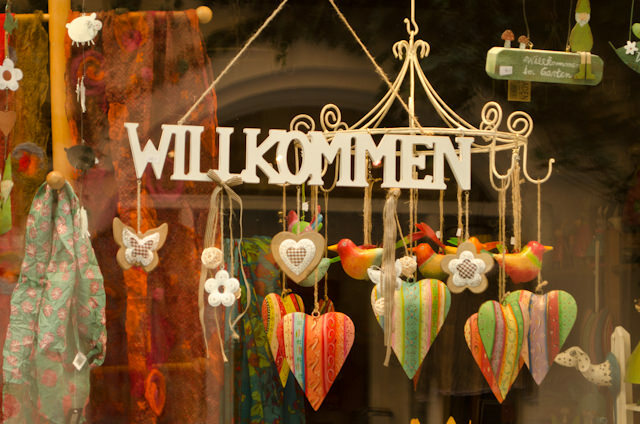 This is a jam-packed day that would make a fabulous first day after departure from Nuremberg on the Eastbound itinerary, but it makes for a busy, confusing last day onboard on the Westbound itinerary. 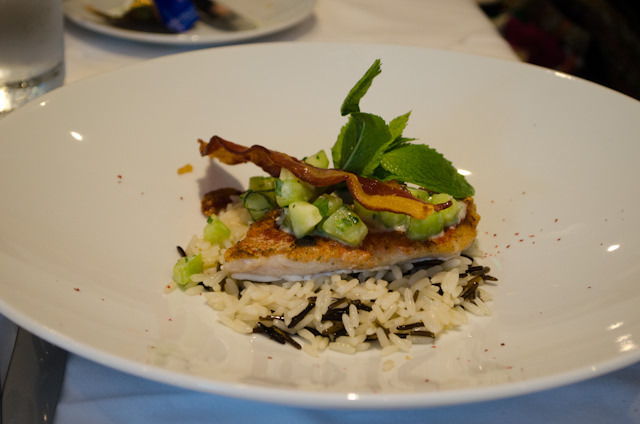 In contrast with how well-planned the rest of the itinerary was, today felt like a mad scramble – rushing to disembark in Regensburg, rushing to eat lunch back onboard, rushing to make the afternoon excursion to Kelheim, and rushing to take in the Bavarian Oompah Band, the pre-dinner talk, and dinner. Not to mention: packing, settling your onboard account, delivering the cruise survey to the reception desk, and securing your luggage tags for tomorrow morning’s transfers. After one last fantastic dinner onboard, it was time to settle up the onboard account, which could be done in cash in Euros (the onboard currency), or by credit card. I also picked up the appropriate colour luggage tags for my morning transfer to Nuremberg Airport and spent a bit of time saying goodbye to crew members I had come to know well before watching the most gorgeous sunset of the cruise as we left the Danube behind and entered the Main-Danube Canal. Built in 1992, this engineering marvel has a total of 16 locks and runs for 171 kilometres. 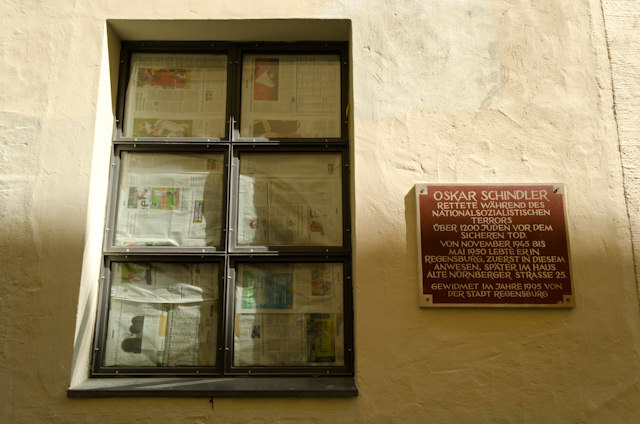 Before 1992, sailing from Kelheim to Nuremberg would have simply been impossible. 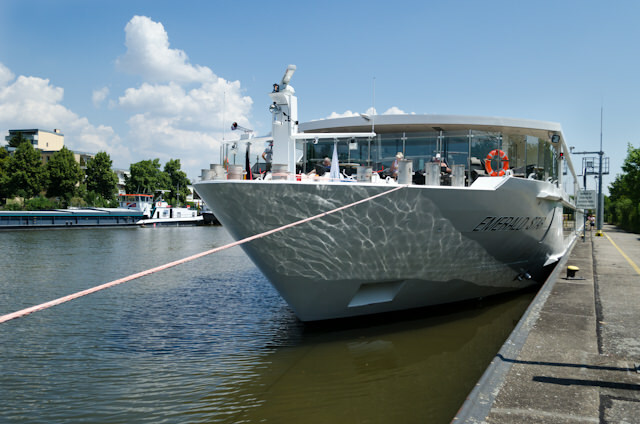 Now, not only is it possible, but highly desirable, as river cruise and cargo ships can now sail from Amsterdam all the way to the Black Sea. Despite the day’s somewhat chaotic schedule, I remain impressed with Emerald Waterways and with my time aboard the Emerald Star. There’s some things they can improve upon, and there are some features that ultra-luxe parent company Scenic has that I’d love to see transition down to Emerald, but to have a product that is this polished and ready right out of the gate has truly surprised me. There are things that their immediate competitors do perhaps a bit better, but it’s a very narrow gap, and one that could definitely close considerably in the coming months. 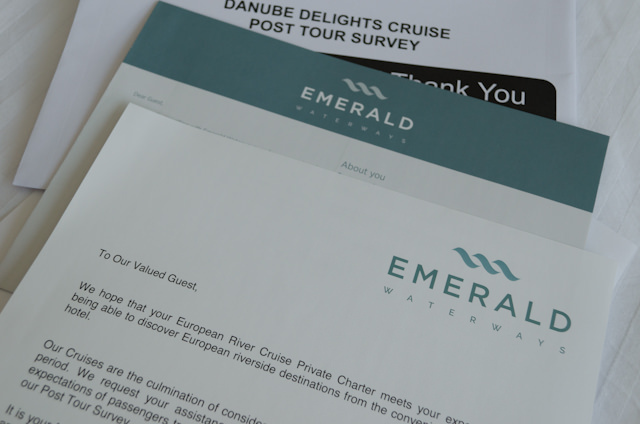 Next year, Emerald will debut Emerald Dawn and Emerald Sun – and the company has been listening to its guests. The crew onboard are genuinely interested in what is working, and what isn’t. 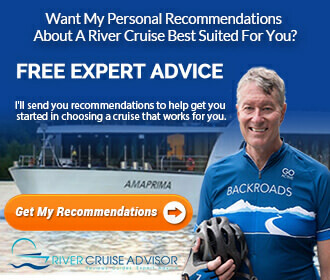 Recommendations are being made to head office, and it wouldn’t be unrealistic to expect to see some minor changes to the line’s next two river cruise vessels. For a line that’s only been in operation since April, Emerald is off to a heck of a good start. 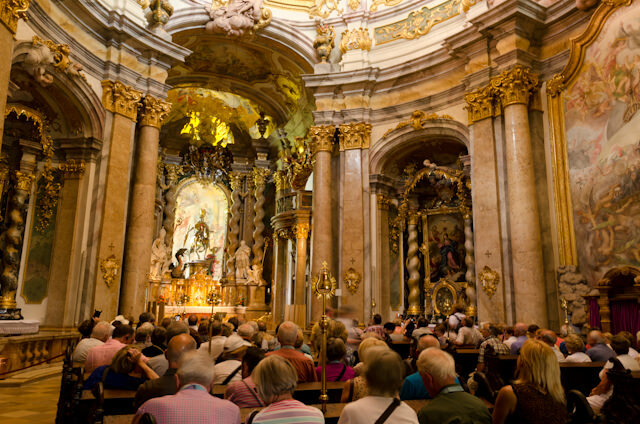 Tuesday, July 15 Vienna, Austria Panoramic "Ringstrasse" tour of Vienna; free time and optional Schonbrunn Palace Tour and Viennese concert. Saturday, July 19 Nuremberg, Germany Disembark & onward journey home. 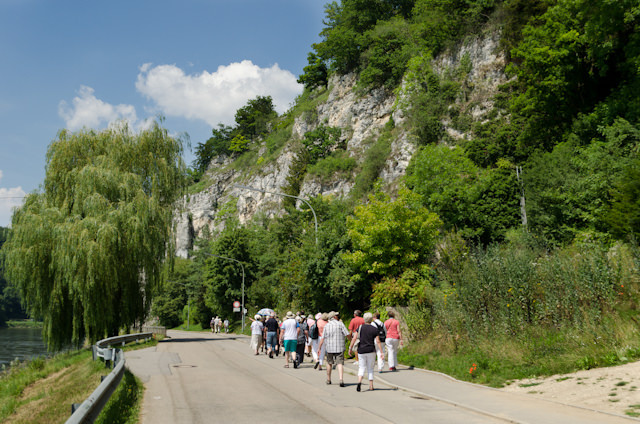 Just a quick note, the current cruises now only include the walking tour in Regensburg. The boat ride and abby are an add-on tour. Emerald would or could not explain to me what “gentle walking tour was”. Can you help me? 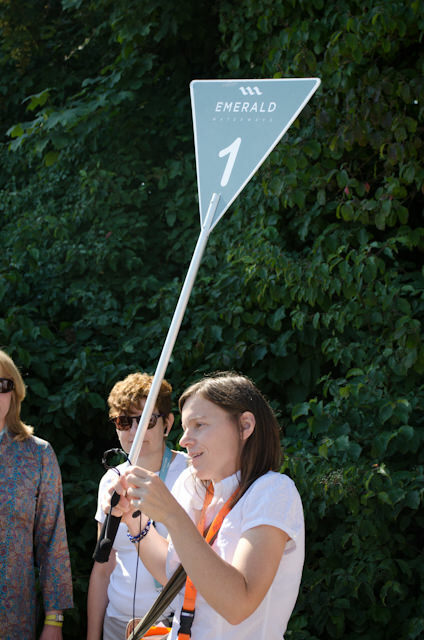 “Gentle Walking Tours” are designed for those with mobility issues or those who just want to take a more relaxed stroll. 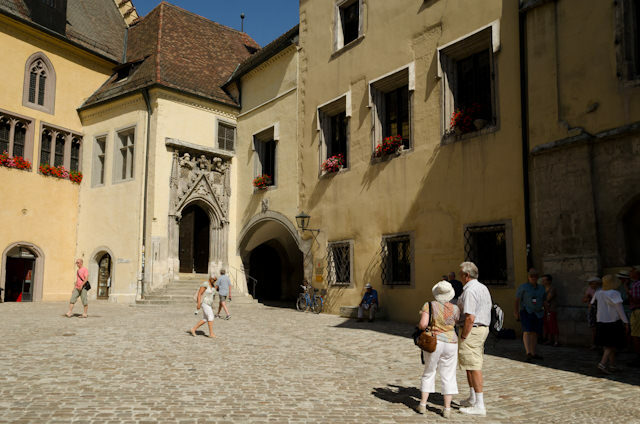 The pace of the regular tours is by no means fast, but the cobblestone streets can be tricky to navigate for many North Americans who are not used to walking on that type of surface. Having a more gentle-paced group is a good option for many. we are going on this trip in Sept, but from Amsterdam to Budapest – Thanks for this its a great insight to what we will experience. Can you tell us how you managed with washing clothes? Did any people have walker frames and could they take the on the buses? Thank you so much for you stories, I am really enjoying what I am seeing. You’ll have a fantastic trip! Amsterdam to Budapest is a very special run. As for washing clothes, I never had to – but there is a laundry service onboard that’s offered for an extra charge. Most guests tended to wear what I call ‘touring clothes’ on excursions that could be worn more than once, and dress up a bit at dinner. No one on my tour had a walker frame, but storing these on coaches wouldn’t be an issue, as the coaches are all rather large and have under-bus storage. However, it’s worth noting that cobblestone streets prevalent in many European cities could make walking with a walker frame rather difficult. 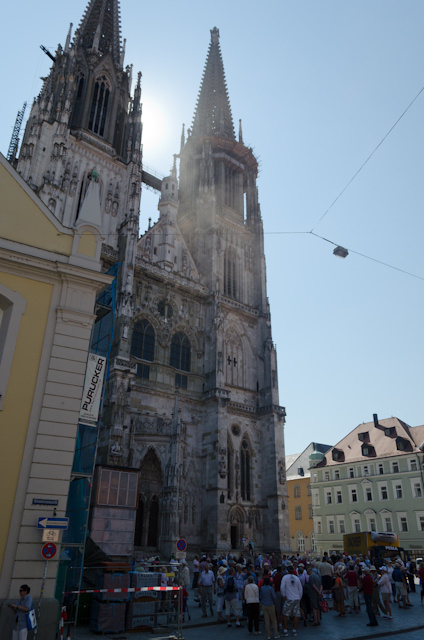 Fortunately, many tours – like the Panoramic Ringstrasse tour in Vienna – are conducted mainly by coach.